Angle sensing has always been challenging particularly in industrial and automotive environment because of the need for precise and accurate sensing at high speeds. 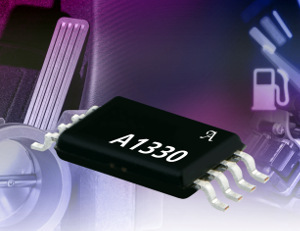 Allegro Microsystems developed the A1330 an integrated circuit angle sensor that works based on magnetic Circular Vertical Hall (CVH) technology. Unlike other angle sensors Allegro’s A1330 does not require a concentrator or a complex packaging assembly which results in lower costs. The A1330 SoC (system on chip) include a CHV front end, digital processing, and analog output driver, and an on-chip EEPROM technology that allows up to 100 read/write cycles. This allows customer to program and calibrate parameters easily. Additionally, it has adjustable internal averaging that allows respond time to be traded for resolution. On the other hand, with averaging not enabled A1330 provides fast analog response time. All the characteristic mentioned above makes the sensor ideal for low rotational velocities with high precision. 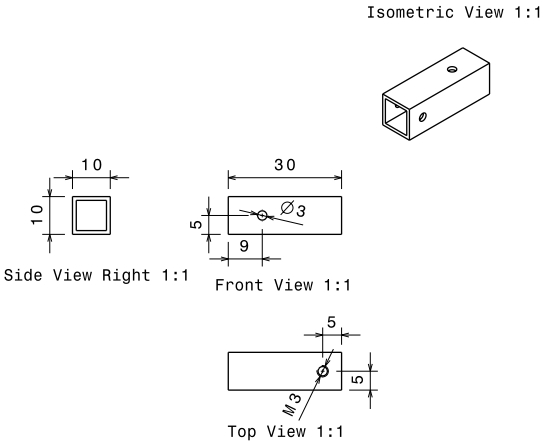 The fact that angle scaling can be programmed allows for easy detection of mechanical failures by selecting minimum and maximum angle values that when surpassed might mean a problem. In automotive industry hall sensors are used for fuel level, brake and clutch pedal switches, electronic parking brakes and much more. The advantage that the A1330 offers is higher immunity to parasitic fields and it can support higher target magnetic field levels (since it measures phase not amplitude). Also, it offers better temperature drifts performance which is an advantage in automotive industry where temperatures can get high. Its operational voltage is 3 V and its magnetic sensing is parallel to surface of the package, it has a current regulator for two wire operation, and a reverse battery and overvoltage protection. The package is lead free and A1330 is available as either single- or dual die option in a 8 pin TSSOP standard packaging. All the complete specifications can be found in Allegro´s website.